I didn't get our normal Dallas Gameday Giveaway matchup up this week (Cowboys played yesterday. ), so for a chance to win 2 links of sausage from Lockhart Smokehouse, tell us via blog comment, Facebook comment, Twitter, or email where Lockhart Smokehouse's second location will be. Don't have to give street address. City will suffice. Get us the correct answer by Sunday at noon, and your name is in the drawing! As for Houston, the Texans host the New England Patriots Sunday at noon (Central). 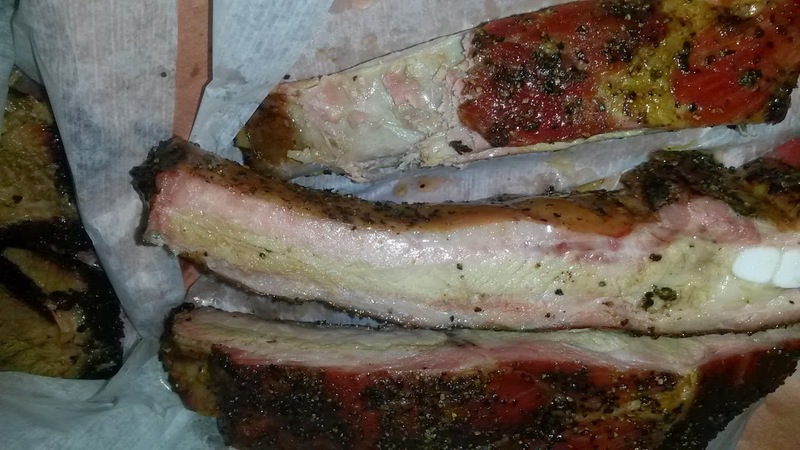 Closest prediction (winner, score, & total combined yards) wins a whole slab of pork ribs from Houston's Pizzitola's BBQ!!! You can submit your prediction as a comment below this post, as a Facebook comment, via Twitter, or via email. It's a great day to thank everyone who does anything to promote Texas BBQ. To all who work at the BBQ joints - pitmasters, cooks, managers, waitstaff - thank you. For all of the time you spend planning and prepping and cooking and cutting and serving and cleaning up after us, thank you. We appreciate all you do to give the rest of us something to eat, take pictures of, and talk about. We hope you have a great Thanksgiving day, hopefully one where you are far from the restaurant, doing something for yourselves and/or with your loved ones. That said, it's THANKSGIVING DAY! I know lots of you out there are smoking turkeys and briskets, and I wanna see pictures. If you'll send me pics of what you're smoking in the backyard (Meat, people! 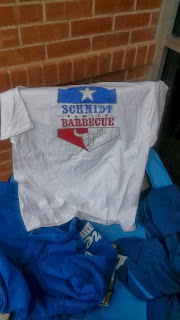 ), I'll add them to my Backyard BBQ collection. Happy Thanksgiving! Which is the best "food town" in America? This past weekend, I had the pleasure of spending a couple of days in San Francisco with more than a dozen other food bloggers from around North America, courtesy of the fantastic folks at Chowzter. San Diego, New York City, Vancouver, Charleston, Los Angeles, Buffalo, Philadelphia, Portland, Toronto, Savannah, Orlando, & other cities were represented. I learned much more about the food scenes in each of the places and was impressed by how diverse each of these places is, food-wise. Being around so much food talk and seeing various dishes from each of these places has me pondering which is the best food town in America. By "food town," what do I mean? Not exactly sure. Maybe it means the place with the most options. Or the most diverse options. Or simply the best options. I really don't know. I'll leave it to you to decide and answer, but I guess what I'm getting at is, if you're a food lover, which city is tailor-made for you? GIVE THANKS for this week's la Barbecue Gameday Giveaway matchup, b/c it's an intrastate goodie! It's Thanksgiving week, & Thanksgiving night is the game so many of you are awaiting: Texas Tech at Texas (Thursday, 6:30 PM Central). Closest prediction gets a free BBQ sandwich & side item from la Barbecue. To be eligible to win, I need the following predictions: (1) winner, (2) final score, & (2) total combined yards [in case we need a tiebreaker]. You can submit your prediction as a comment below this post, as a Facebook comment, via Twitter, or via email. Your prediction must be received by kickoff (6:30 PM Central). Good luck! Reminder: la Barbecue is moving locations. December 1 will be their last day at their current spot on South 1st. They will reopen December 4 at 6th & Waller, next to Uptown Sports bar. Which Texas BBQ joint has the best holiday turkey? Lots of BBQ joints sell whole, smoked turkeys for the holidays. Which joint's is the best? It was an insane day of food yesterday in San Francisco. Walking food tour during the day. Food-trailer park at night. Spanned the globe. Ate so many things. One of them: hickory-smoked, cumin lamb ribs at Mission Chinese Food. To be eligible to win, I need the following: (1) winner, (2) final score, & (2) total combined yards [in case we need a tiebreaker]. You can submit your predictions as a comment below this post, as a Facebook comment, via Twitter, or via email. Your prediction must be received by kickoff of the respective game. Good luck! This week's la Barbecue Gameday Giveaway matchup is Baylor at Oklahoma State (Saturday, 7:00 PM Central). Closest prediction gets a free BBQ sandwich & side item from la Barbecue. To be eligible to win, I need the following predictions: (1) winner, (2) final score, & (2) total combined yards [in case we need a tiebreaker]. You can submit your prediction as a comment below this post, as a Facebook comment, via Twitter, or via email. Your prediction must be received by kickoff (7:00 PM Central). Good luck! What's the best BBQ in San Francisco? This weekend, I'll be in San Francisco for a food event. The weekend is pretty booked each day, so I don't know if I'll have any time to trek out on my own. Regardless, I'm interested to read what your favorite Bay-Area BBQ joint is. Where's the best BBQ in San Fran? Ticket giveaways for January 25 trip! Yesterday, I announced our first Texas Q Tours trip of 2014. On Saturday, January 25, we're heading to Lexington, Taylor, & Georgetown for BBQ, drinks, & desserts. Two BBQ joints, a biergarten, & a cafe. Today, to celebrate the start of our 2014 tours, I'm giving away a ticket to 2 people. After midnight tonight, I will draw 2 names from a hat. Each person whose name is drawn snags a FREE seat on the trip. To get your name in the hat, leave a comment below this post, leave a Facebook comment, tweet us, or email us. Do 1 of these, and your name's in the hat once. 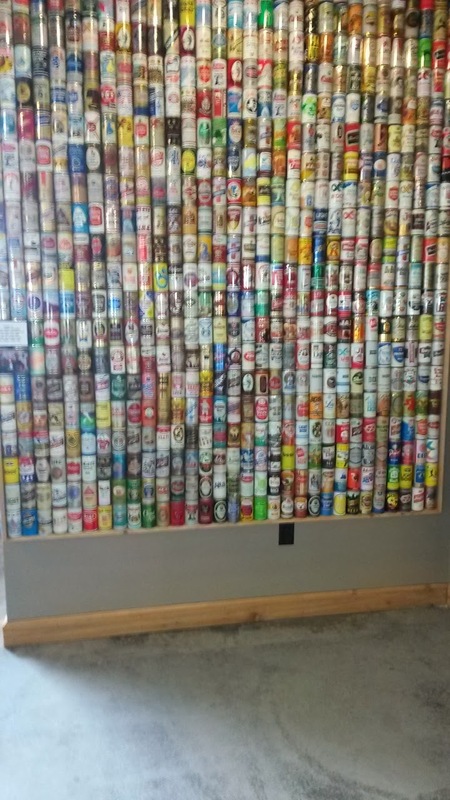 Two of these = twice. Three of these = three times. Do all four of these, and you're name's in the hat four times! 1st public tour of 2014! This trip will depart Austin at 8 AM and return around 3 PM (Times are estimates.). Seats are $125 each and are all-inclusive, BUT if you book via last week's mix-and-match promotion, this trip is just $90! A savings of $35 just for clicking on a different PayPal button, people! UPDATE: Each person on this trip will receive 2 bottles of Cowboy Joe's BBQ sauce: 1 bottle of original & 1 bottle of spicy!!! Get ready for Year 2 of All-Star Sauces! Two days ago was the final All-Star Sauces order deadline for 2013. So, we are now taking orders for our first shipment of 2014!!! Just as it has been this year, next year's program will involve 6 sauce vendors. Each has a 2-month order period. Same shipment for each, so you have a couple of chances to snag their sauces. Each shipment will include 2 bottles of sauce. First up in the new year will be Austin's very own Cowboy Joe's. Last year's overall Bottled Contest winner & People's Choice Contest Top 10 at Gettin' Sauced! & the holder of 2 of the People's Choice Contest Top 10 spots at this year's Gettin' Sauced!, Cowboy Joe's shipments will be comprised of 1 bottle each of their Original Pit & Grilling Sauce and their Spicy Pit & Grilling Sauce. To receive the January shipment, you must order by December 15. If you miss the cutoff, don't worry, b/c you can receive Cowboy Joe's February shipment by ordering by January 15! This week's la Barbecue Gameday Giveaway matchup is Texas Tech at Baylor (Saturday, 6:00 PM Central). Closest prediction gets a free BBQ sandwich & side item from la Barbecue. To be eligible to win, I need the following predictions: (1) winner, (2) final score, & (2) total combined yards [in case we need a tiebreaker]. You can submit your prediction as a comment below this post, as a Facebook comment, via Twitter, or via email. Your prediction must be received by kickoff (6:00 PM Central). Good luck! Speaking of la Barbecue, they're moving locations. December 1 will be their last day at their current spot on South 1st. They will reopen December 4 at 6th & Waller, next to Uptown Sports bar. Come BBQ touring with us in 2014! To give you a chance to secure seats and save money, I'm announcing a special promotion for our 2014 Texas Q Tours trips. The way it works is simple. Below is a list of upcoming 2014 tours. You pick 1 or more that you want to attend. The more you choose, the less expensive it is per joint. If you purchase, for example, the Double package, you can redeem it for a 2-joint tour or for two 1-joint tours. A Triple can be redeemed for a 3-joint stop or a 2-joint stop & a 1-joint stop. Got it? Grand Slam (all 5 joints): $150 - BEST VALUE!!! If you wish to purchase a package, email us, or use the PayPal button at the bottom. Ticket prices are all-inclusive and include meal(s), pit tour(s), and transportation. Purchases are non-refundable, but they are transferable, either to another person (If you can't go on the trip[s], someone may take your place.) or as a credit for another tour we offer (a credit that you or another may use). When you purchase, you don't have to pick which trip(s) you wanna join! You can decide later, once you see the date(s) and other details. Seats on each trip are FC/FS. 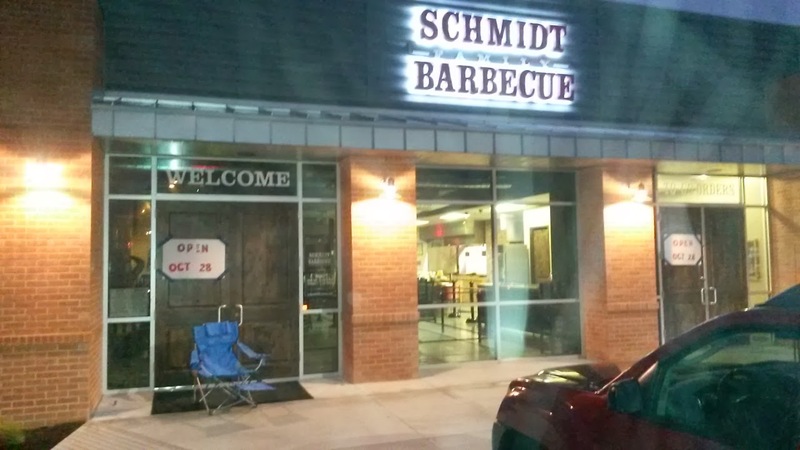 As he is with every BBQ-joint opening in the Austin area, our man Jacob Reach was ready to go when the doors opened at Schmidt Family Barbecue (Bee Cave, TX). He sent me these pics and said, "My favorite photo is the one with the three pieces of beef. From left to right they are: lean, fatty, clod. The lean brisket was near perfect and amazing." What would you change about your favorite Texas BBQ joint? If we're being objective, most things in our lives come with pros & cons. For example, my alma mater's football team is full of pros, but even the Alabama Crimson Tide have some cons. Like...I'm not in Nick Saban's inner circle, I don't get to coach or play, etc. The same is true with our favorite restaurants. Perhaps your favorite spot is perfect to you, but many of us find at least 1 thing we'd change about our favorite eatery. 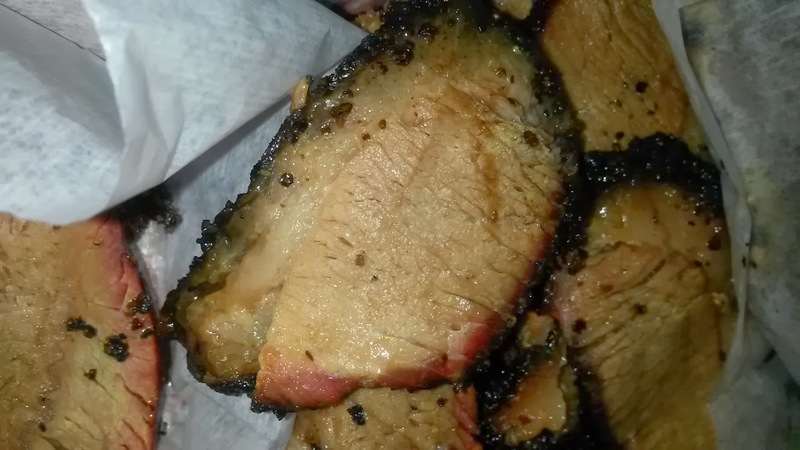 Is this true for your favorite Texas BBQ joint(s)? 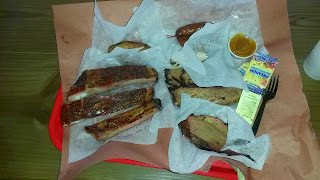 If you could change 1 or more things about your favorite Texas BBQ joint(s), what would it be? Before the Bama-LSU game Saturday night in Tuscaloosa, I stopped by a friend's house close to the stadium. I arrived well after the food did, but there were still a few pork ribs left. I didn't get a chance to ask which local joint catered. 86. 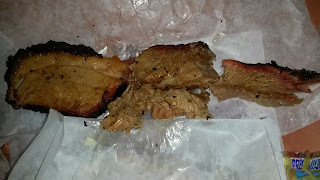 Little Miss BBQ (Phoenix, Arizona) - "The barbecue is divine and it's places like Franklin BBQ, John Mueller Meat Co, la Barbecue, Smitty's and the Salt Lick that we have drawn inspiration from the past few years." Take part in Visa's #MyFootballFantasy campaign! In December, I had the honor and pleasure of partnering with Visa on their "Make it Epic" Super Bowl campaign. This year, Visa's NFL campaign is their #MyFootballFantasy Contest. For the contest, NFL fans share their NFL fantasies, and Visa will pick 8 Grand Prize winners, who will see their fantasies become realities. Have you seen the commercial where San Francisco 49ers coach Jim Harbaugh is coaching the pee wee football team? That's this campaign! The value of your fantasy cannot exceed $100,000, and you can enter via Twitter, Instagram, & Visa.com/MyFootballFantasy. Full rules are at the bottom of this post. How do you enter your #MyFootballFantasy for consideration? So, let's hear it. What's your NFL fantasy? If you could pick your perfect NFL experience, what would it be? Don't hold back. I want one of my readers to get picked!!! One of my NFL fantasies would definitely be to spend a day with former Alabama & current Atlanta Falcons wide receiver Julio Jones. We're both from Alabama and have pretty much identical athletic ability (I couldn't even type that with a straight face. ), so I would want to spend a day tossing around a football, touring the Falcons' facilities with him, & eating BBQ with him. If you haven't already, you can connect with Visa via Facebook & Twitter. And be sure to check out the campaign's landing page. Good luck! *Disclosure: I am blogging/posting on behalf of the Visa #MyFootballFantasy Campaign and receive compensation for my time, but the thoughts, words, and promotions on this page are mine, not Visa's. This week's la Barbecue Gameday Giveaway matchup is Texas at West Virginia (Saturday, 6:00 PM Central). Winner gets a free BBQ sandwich & side item from la Barbecue. 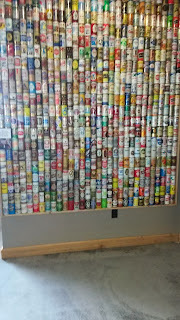 Curly's Carolina Texas, a blending of Texas & North Carolina BBQ, has been in the works for a while. Curly's is a creation of Jay Yates, the man behind the former Curly's Perfect Pig BBQ trailer (NC style), and John Brotherton, the man behind the former Hall of Flame BBQ trailer (TX style). 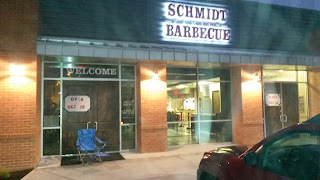 Doors will open for business at 11AM on Thursday, November 14, at 112 E. Main St. in Round Rock. The website is being built and will be up as soon as possible. In the meantime, get more info via their Twitter page and Facebook page. Welcome, Curly's Carolina Texas! Hays Co. Bar-B-Que (San Marcos, TX) is in the process of moving from Hunter Road to the Southbound I-35 frontage road (1612 S. IH 35). I'll update with an expected opening, when I have it. Here's a little map that the Hays Co. Bar-B-Que folks posted at Sunday's Texas Monthly BBQ Festival. Hat tip, Don O., for the image. Last week, Man Up Texas BBQ was highlighted in McCombs Today, the magazine of The University of Texas at Austin's McCombs School of Business. I am so honored to be included in the publication, as I am honored to teach at McCombs. The piece, The Business of Brisket, was written by Marissa Barnett. Reminder: The annual Texas Monthly BBQ Festival is back in action today at the Long Center. I've seen some people selling tickets via Facebook & Twitter, so maybe there is still a chance those of you without tickets can snag one! To those who already have one, enjoy! What's the best BBQ joint in Arlington? Continuing down the list of the 25 largest Texas cities (by population), today's focus is on Arlington. 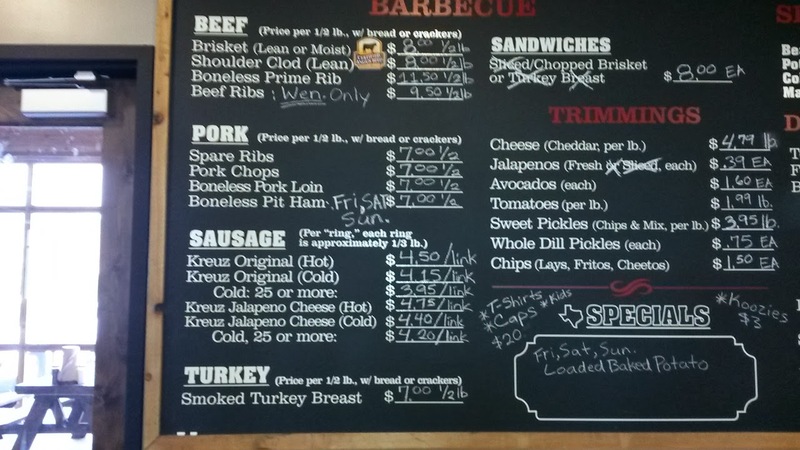 A town of more than 375K people, Arlington has several BBQ joints to meet the town's demand. Of all the BBQ spots in Arlington, which one is the best?